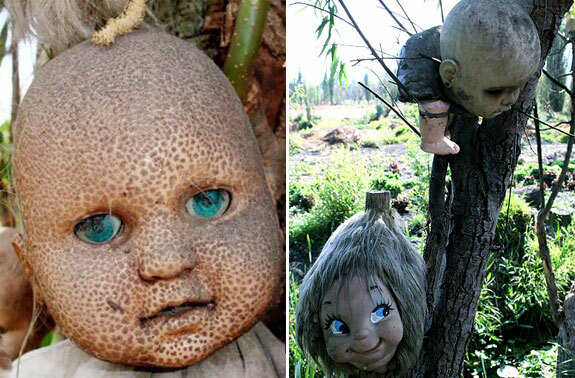 On a creepy island in a creepy swamp south of Mexico City there’s a place that looks like the stuff of nightmares and horror movies. 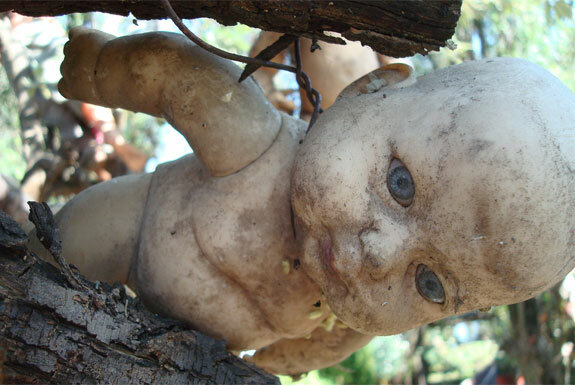 Here, among the scraggily branches and dead trees hang hundreds of old, mangled dolls. 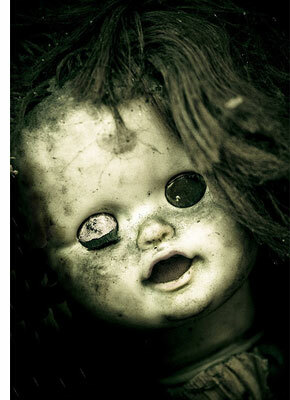 It was around 50 years ago that a little girl drowned off a small island hidden deep amongst the canals of Xochimico. The island’s only permanent inhabitant was a recluse named Don Julián Santana Barrera. Soon after the girl’s death Barrera fished an old doll out of the water. The next day he fished out another. And then another. 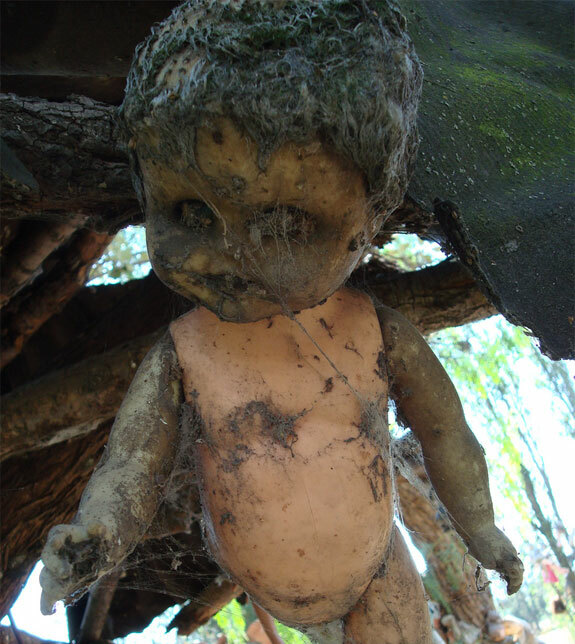 Convinced that this was a sign from the netherworld, Barrera started collecting old dolls and hanging them around the island. 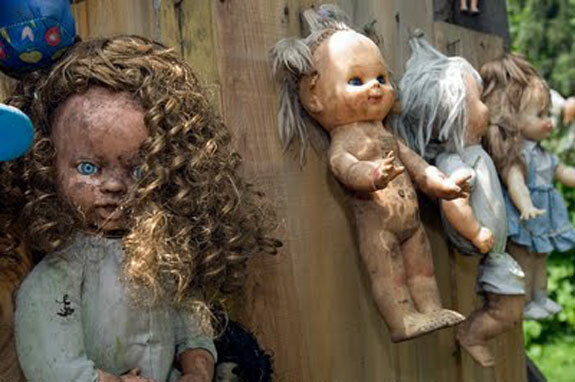 These dolls, he believed, formed vessels for spirits that kept the deceased girl company and prevented further evil from descending upon the island. From here the story becomes murky. Some claim that Barrera himself died under mysterious circumstances, and that the spirit-inhabited dolls murdered him Chucky-like. 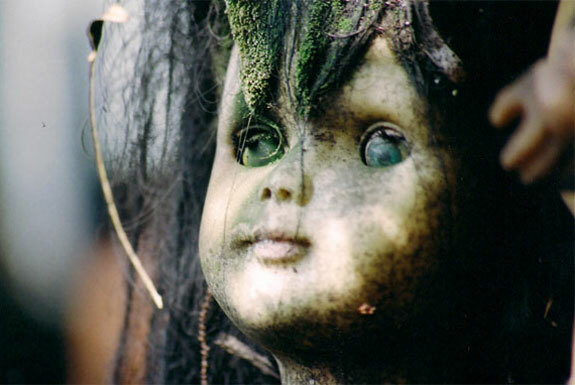 Others swear that they’ve witnessed the dolls become alive at night (see video, below) and that after Barrera’s death they assumed his role as the island’s caretaker. 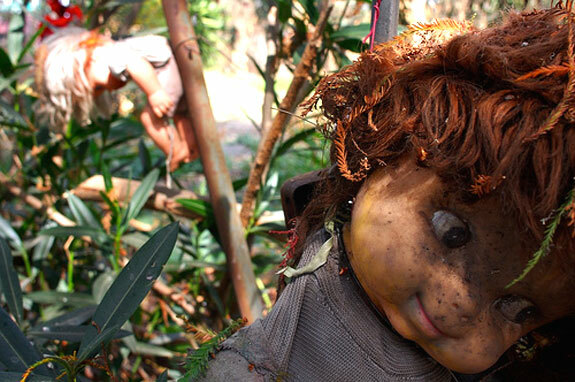 One fact is incontrovertible: Wandering around the Isla De Las Muñecas (Island of Dolls) is a ghoulish experience. We’re prepared to name it the creepiest place on the planet—unless there’s an island of decaying clown mannequins we don’t know about. 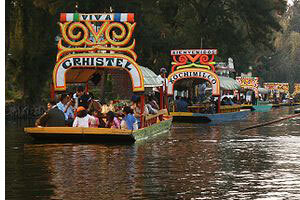 Getting there: The canals and ancient lake of Xochimilco are, in general, a semi-popular attraction. To help preserve them the area was declared a UNESCO World Heritage site in 1987. To see the Xochimilco canals you must travel by a trajinera, a wooden boat maneuvered by a long oar (see photo). A few travel agents in Mexico City can arrange trips but it is better (and much less expensive) to consult a good guidebook that has up-to-date info on how you can book a trajinera directly with a boat operator. 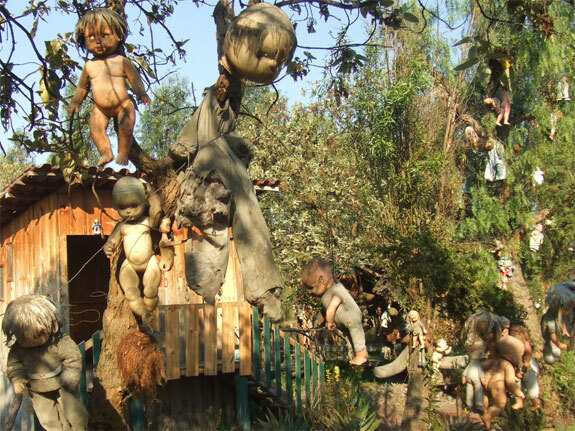 The Island of Dolls is not on the regular tourist routes the trajinera take. (It’s as if the drivers don’t want to be around mangled hanging spirit dolls. Who knew?). 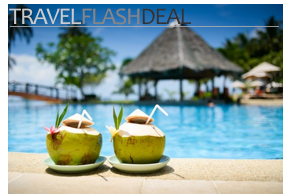 So to get there you’ll have to hire an entire trajinera and ask specifically to be taken to the Isla De Las Muñecas. Try at the Cuemanco landing, near the Parque Ecológico De Xochimilco. The entire fee will likely come out to around US$100~$120 so you may want to find a group of people to split the cost (and to increase the chances that the dolls will pick off one of them and not you). A trajinera can accommodation ten passengers. Wow, I’ve heard of this island, but it’s the first time I’ve seen pics of the place. I have to admit, there is definitely something really creepy about the look of that place! JRinAsia recently posted..3 of the Most Bizarre Exotic Pets From South America! Creepy! I’ve just been to Xochimilco but I didn’t see them. 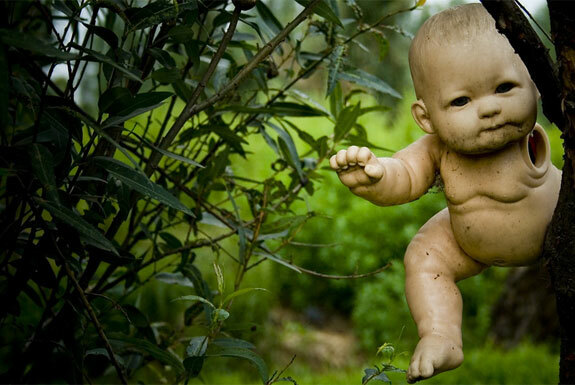 I’m going to be seeing the photos of the dolls in my sleep now. Ugh! This post should be rated R for mature audiences only. It looks to creepy for me. It would have no appeal to visit. I won’t be putting this on my bucket list. But I still may visit Mexico. thanks for shareing. Hi, I live in Canada so I can’t watch the video. It says “This video contains content from NBC Universal, who has blocked it on copyright grounds.” Stingy bastards. I wonder if the CBC blocks the States from its content. Damn. It’s pretty spooky, eh? Can someone describe it to me? This site is really crreeeppppy!! !Oh, I forgot, they are just props to attract viewers and/or visitors and have profit, right? It is not creepy anymore then..
Maybe I’m strange, but this looks like a really interesting place to visit. I’ll need to take a look some time. I’m from Mexico and’ve been there (just passed by with the ‘Trajinera’) and it’s a creepy place indeed. Don’t need to step into the island to feel it. If there is a creepier place, I don’t want to know about it! 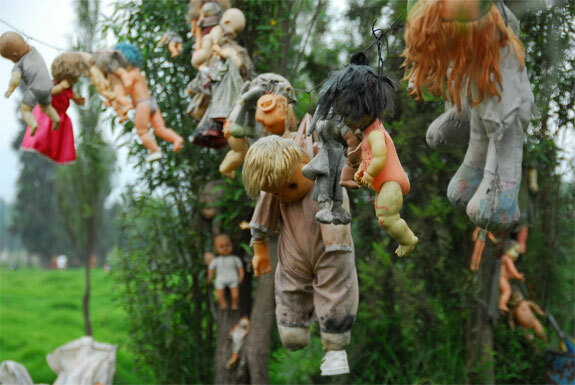 That is pretty creepy, all those faces and wide eyes staring out at you,hung from trees ….sends shivers down my spine. But,I would like to visit just to see it for myself.